The FBI's Meeting of the (Closed) Minds? Justice Department prosecutors consider it to be an unindicted co-conspirator in the largest terror-financing trial in U.S. history. The FBI has refused to meet with its officials for the past 18 months due to concerns over its ties to Hamas. Its Detroit chapter director has spent more than three months sowing suspicion over the FBI's tactics, and its actions in a fatal shooting of an imam who fired first. Yet, the head of the FBI's Detroit field office plans to speak January 28 at a "Know Your Rights" meeting alongside an official from the Council on American-Islamic Relations (CAIR). Andrew Arena is among three speakers listed for the event, including CAIR-Michigan Executive Director Dawud Walid, who has been harshly critical of the FBI. Neither CAIR nor the FBI is a sponsor of the event, said Special Agent Sandra Berchtold, spokeswoman for the Detroit FBI office. If that were the case, Arena and Walid would not be on the same program. According to a letter to three U.S. Senators last spring, "the FBI does not view CAIR as an appropriate liaison partner." This event is sponsored by the Muslim Students Association at the University of Michigan-Dearborn, Berchtold said, adding that the FBI had no say in choosing other speakers. The meeting date marks four months since agents shot and killed Imam Luqman Abdullah while trying to arrest him. Luqman, who preached to supporters about being armed and fighting law enforcement should they come to make an arrest, reportedly fired his gun as agents moved in. A law enforcement dog was killed. Abdullah was the accused ringleader among 11 men charged with conspiring to sell stolen goods, weapons violations and other crimes. But he also advocated a Muslim separatist ideology and was a protégé of Jamil Al-Amin (the former Black Panther H. Rapp Brown) who is serving a life sentence for killing a Fulton County Sheriff's deputy and wounding a second as they came to arrest him in 2002. Since the October 28 shooting, CAIR Michigan Executive Director Dawud Walid has waged a campaign insinuating that the FBI used excessive force during the attempted Abdullah arrest. Four other suspects at the scene were apprehended without incident. Walid claims Abdullah was shot 18 times and that his shot merely was intended to stop the charging dog. "Is this reality that the FBI shot an imam 18 times and handcuffed after he shot their DOG and didn't point a gun at agents?" Walid asked in an October 31 posting on his own blog. "Is this reality that they shot a human being and handcuffed him without airlifting him to the hospital but airlifted their DOG to an animal hospital?" At best, Walid is offering wild conjecture as plausible fact. It ignores the fact that Abdullah defied the orders of an approaching FBI SWAT team and got off the first shot. Greg Stesjkal spent 21 of his 31 years in the FBI on its SWAT team and still teaches on the use of deadly force. Although he wasn't at the Abdullah shooting and hasn't been briefed on the operation, as he explained, efforts to arrest suspects considered armed and dangerous typically utilize an overwhelming show of force. This is meant to convince suspects that resistance is futile and they should surrender peacefully, Stesjkal said. Officers are trained to analyze a suspect's movements and be sure there's a threat before firing. Sudden movements for a weapon – or the actual firing of a gun – are more than sufficient grounds to fire. In that regard, it is the suspect in control of how the arrest will go. If he chooses to comply with the agents' orders, the arrest will occur without incident. But in a training simulation in which a suspect fires first, regardless of whether any agents are shot, "I would have criticized any trainee for not having fired," Stesjkal said. "You fire until the threat has been ended and you fire for the center of mass." For the sake of discussion, assume Walid is right and Abdullah was shot 18 times and then handcuffed. It wouldn't change the equation. Abdullah was considered armed and dangerous, so as Stesjkal described as standard procedure, FBI agents went in with a strong show of force. Once he chose to fire rather than lay down his weapon as undoubtedly instructed, agents were correct to shoot back. And what's more, we know this was not a misunderstanding - Abdullah had repeatedly expressed his views on the police. The complaint makes it clear that Abdullah preached offensive jihad and used his mosque for training in martial arts and with firearms. He was recorded in a 2004 sermon yelling, "Police, so what? Police die too! Feds die too!" and "Do not carry a pistol if you're going to give it up to police. You give them a bullet." He also vowed he would not go peacefully should law enforcement ever come to get him. Arena has repeatedly said the agents acted appropriately. But if the issue arises during the "Know Your Rights" program, Arena may be restricted in what he is able to say. The criminal investigation remains ongoing and reviews of the shooting incident are being scrutinized both by the FBI and by local police. "We don't have the luxury of free speech within the government," Berchtold said. "We realize these comments are in the community, but it is hard for us because, in a lot of cases, we can't comment." That doesn't mean Arena should skip such forums, she said. The Detroit-Dearborn area is home to one of the country's largest Muslim populations and the FBI routinely seeks out opportunities to hear community concerns. "When tensions arise in the community, the best thing we can do is go out and talk," she said. "We're all human. We all pay our mortgages and mow our grass. We're not this organization that should be feared." Walid's cynical allegations ignore all of these facts and are cast as an innocent request for a thorough investigation and full disclosure. Initially, he criticized the criminal complaint's emphasis on Abdullah's religion, with the Detroit Free Press reporting his belief that a suspect's faith isn't relevant to his alleged crimes. 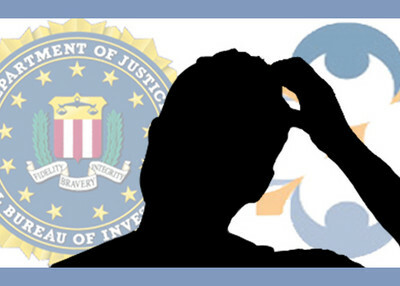 The emphasis shifted to questions about the FBI's actions in the attempted arrest and the investigation's reliance on informants. • "Whether excessive use of deadly force was employed by the federal agents under the circumstances;"
In similar "Know Your Rights" sessions throughout the country, CAIR officials push the message that Muslims should never talk to the FBI without a lawyer. In isolation, that position can seem reasonable. However, viewed along with CAIR's long-standing opposition to federal terror-financing investigations, the message seems to be more about impeding investigators than about protecting individual rights. "There has never been one terrorist attack that has been launched in the United States of America that was committed by a Muslim who's an American citizen. That's very important for your listeners to understand." Likewise, at an August 2008 workshop in Dearborn, Walid seemed to express doubts the 9-11 hijackers came from Saudi Arabia, and denied the existence of a puritanical repressive Wahhabi ideology that governs Saudi Arabia. In general terms, Arena can rebut some of these statements. Berchtold stressed that the targets of investigation and the use of informants are decisions that undergo rigorous review. "We don't investigate buildings. We don't investigate religions. We investigate crimes," Berchtold said. Whether Arena's audience accepts that remains to be seen. Why does IPT give the MSA a free pass? Why Steve? The MSA is an admitted Muslim Brotherhood group - why not at least mention that in this piece rather than repeating the same arguments against CAIR that the FBI and others are not listening to? I, Citizen, declare you POTUS, COTUS and Joint Chiefs to be derelict in your duty to protect and defend the United States Constitution and the nation's Citizens from all enemies foreign and domestic. A 7th grader could put the pieces of this puzzle together, and this Administration and the dolts in positions of power succumb to lies and half-truths peddled by comrades of the enemy? The koran, sunnah and Muslim Brotherhood can be vetted - read the first two, listen to the latter. Elites are defined by their LACK of measureable standards to guage their success - or failure. These people spout politically correct blather, suggest we are morally equivalent and invite the enemy into our belly. The disrepect of our heritage and abandonment of our offspring make me tremble. It is these "leaders" that must stand before the court of citizens and respond to our questions. Why have you forsaken your own nation and her citizens? Sorry meant to finish with I'd like to quote a great movie charactor with what I think it is "STUPID IS AS STUPID DOES!!! I always thought you had to be pretty sharp to be an FBI agent..........apparently not!!! So let me see if I have this straight............the FBI cut off liaisons with cair 18 months ago because of feared links to hamas. Now the agent in charge of the field office in Detroit is going to speak at an msa (ANOTHER FRONT FOR THE MUSLIM BROTHERHOOD) sponsored event with an official from cair. How do people this stupid make it to any advanced age without accidentally slamming their heads in a car door or doing something else so stupid as to cause their untimely demise!? !